BOCA RATON — A university professor that came under fire earlier this year for having students stomp on a piece of paper that bore the name of Jesus has been reinstated after being put on leave for security reasons. As previously reported, Ryan Rotela, a Mormon, told reporters in March that he was punished by school officials for not participating in the assignment in his intercultural communications class. The activity was part of a suggested exercise found in the instructor’s manual accompanying the classroom textbook. However, Rotela said that he was suspended for refusing to stomp on the paper, after his teacher, Deandre Poole, the vice-chairman of the Palm Beach Democratic Party, had his class perform the exercise. However, university officials denied that students were required to stomp on the paper. Officials also asserted that Rotela was not punished for his refusal to stomp on the name of Jesus. Poole was then put on administrative leave for security reasons, and Florida Governor Rick Scott demanded an investigation into the matter. Poole was reinstated last week as a professor, but will only be teaching online courses for the time being. 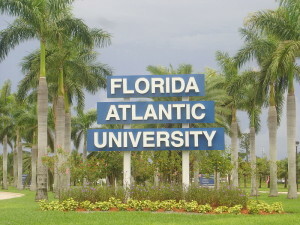 Poole, who identifies as a Christian and serves as a Sunday School teacher, said that he was thankful to be rehired at Florida Atlantic University.